The grapes are in bloom only a few days, but despite this, flowering is the most important period in the life of the plant. It is important for the owner of the vineyard, it is from the length of this period and the number of fertilized flowers depends directly on the volume of the future harvest. Flowering of some varieties of grapes begins at a temperature of 16 -18 ° C, although the most favorable temperature for this crucial period is 25-30oC. If the grapes grow on well-lighted place, its flowering period may occur earlier, even at not so favorable temperature conditions. It is noticed that the same grape variety can bloom at different times, being in the same climate zone, but under different lighting conditions. Unfortunately, when the temperature drops below 15 ° C, during flowering, many varieties of grapes are not fertilized, so it is important to protect the plant from spring cold snaps. The grapes begin to bloom in the early morning, at sunrise, about six hours. This continues until eleven in the morning. In these watches there is a mass flowering vine in the rest of the time, reveals only some belated flowers. Morning hours is most beneficial due to the humidity, because the first time is very important to the stigma of the flower vine did not dry up. Approximately 24 hours after the start of flowering in case of successful fertilization, the stigma of the flower begins to dry and change color from light yellow to brown. For heterosexual grapes of particularly dangerous weather conditions during the flowering period are the rainfall, as the female flowers aren't fertilized. The fact that the rain washes away the pollen, and it simply does not have time to grow into the necessary for full fertilization amount. Even under favorable conditions, fertilized only half of the flowers, this is one of the biological features of plants of grapes. In order to protect themselves from the adverse effects of bad weather, you should not grow grapes without shelter in areas where in the spring of the year there are frequent rains. During flowering it is not recommended to irrigate the vineyard. It may have a negative impact on the future harvest. All in a sharp increase of air humidity during irrigation. This is not a natural process, and therefore, can significantly reduce the number of fertilized flowers. If the vineyard is small, then increase the next harvest it is recommended to use artificial pollination. On large areas is difficult, which is why the grape harvest depends on weather conditions, and from year to year, its volume can change. The flowering period of the grapes is from seven to twenty days depending on the climatic characteristics of the terrain and grade. During flowering the vineyard is the most vulnerable to pests and diseases. If during flowering of grapes is observed lowering the temperature below 15 ° C, it is necessary to resort to methods of artificial pollination, otherwise you can remain without a crop. Care grapes can not be called easy, but the result is achieved that inspires gardeners on the acquisition of new productive varieties. With age comes experience and successful viticulture. Despite the fact that each variety has its own characteristics, there are General guidelines for the care of the vineyard. As a rule, grapes are grown on a trellis, which it is supposed to fall off and cover the vine with spruce branches. After the snow melts in the spring it is necessary to examine the tapestry and, if necessary, repair them. At this time it is important not to lag with the removal of spruce branches to prevent waterlogging and vyprevaniya vines. Remove the cover while raising the temperature to -5oC. Special attention should be given to the soil around the bushes, because the standing water in the roots is unacceptable. To avoid this, you need to plant trees on mounds or high places. After removing the cover you should carefully examine the bushes to remove the damaged shoots and tie up the vine. The next stage – the processing of planting grapes from diseases and pests. If the shoots are found to be outgrowths of irregular shape, they need to be cut and burned and the wound process 3% solution of hydrogen peroxide or 5% potassium permanganate solution, and then to gloss over the garden pitch. Then you need to reduce watering sick plants and suspend all feeding. Also at the same time should be treated bushes from fungal diseases: Botrytis, Anthracnose and mildew with a solution of copper or iron sulphate. All such treatments should be. The second is held in mid-July. After the start of the growing season you need to make under bushes simple complex fertilizer at 5-7 g/sq. m. and loosen the soil surface. To save the plants from spring frosts will help the drug "Appin". It should be dissolved in water according to the instructions on the package and spray the bushes. This drug operates for 10-12 days, protecting the plant from damage by frost. No less important is the care of the grapes in the period of pouring of hands. An important step is the formation of the vine. Appearing during the summer stepchildren need time to break down, leaving each of them 2 sheets. This must be done in order not to weaken the plants and to give the crop an opportunity to Mature. It is also necessary to limit the growth of the vine at the level of 160-170 see If this is not done, you may lose part of the harvest and the vine will go into winter unprepared. During this period, the bushes need enhanced feeding: infuse mullein solution 1:5 by adding superphosphate (30 g), nitrophosphate (20 g), 50-80 g of wood ash per 10 liters of water. All feeding should be completed before mid-July. They can harm the maturation of the vines. In severe drought the bushes need watering, but in the second half of the summer, all watering stops. Throughout the season you need to inspect the leaves on the bushes. At the first appearance of a white or gray fungal plaque is an urgent need to carry out a second processing of copper or iron sulphate. Throughout the spring and summer season is to weed and loosen the soil under the bushes. Caring for grapes in the summer is no less important than the rest of the season, because in this period the hive is gaining strength, which is so necessary for proper growth and maturity. You need time to water the plant to prevent it from drying, feed for active growth, pruning and remove side shoots and in a timely manner to spray the bushes to protect them from the disease. The implementation of these measures will guarantee a withdrawal of an abundant harvest and receive a strong and healthy Bush. 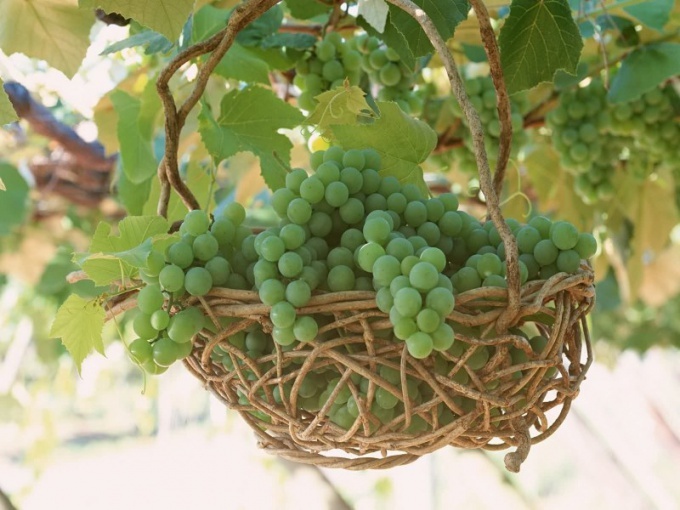 Caring for grapes in the summer mandatory includes watering and fertilizing plantings, however, to approach this process follows individually, depending on the grape variety, soil and climatic characteristics of the region in which it grows. - growth phase of the bunch and ripening of berries (second half of July). Not recommended for watering shrubs during their flowering, as this will lead to shedding of flowers and ovaries. Also don't water the grapes during ripening and directly before harvest, as the final period of ripening is delayed, and berry bursts from excessive moisture. To care for grapes in the summer was effective, the plant must be periodically fed, and do it in two ways – root and foliar. - after harvest: potash fertilizers to increase the resistance of plants during the winter. Foliar feeding involves spraying the sheet and is produced regardless of fertilizer the root system. Phase spraying coincide with periods of root feeding. For fertilizers solutions containing trace elements, and micro and mikroudobreny, which range in selling is quite large. To a solution of trace elements is better absorbed in the sheet, you can add a top dressing of 3 tbsp of sugar in 1 bucket. In the third week of June in order to key nutrients as reported to the bunches, podonosma the vine is pruned, primitiva her. To do this, from the second cluster counts 5-6 leaves and after Cirrus pinch the top branches. To care for grapes in the summer was correct, you need the nipping (pruning) of the grapes to produce annually. This is due to the fact that the average length of the vines is from 4 to 6 meters, and it must be fed. To on the Bush to fully developed bunch, not a run of this length, it is shortened, with the result that nutrients are evenly distributed throughout the system, the plants, the berries become sweeter, and the crop Matures early. In mid-June, the vine is noted intensive growth of shoots of the second order laterals. For growth and requires large amounts of nutrients, and often for more shoots overtake in growth of the main protonotary vine. As a result, the supply deficit for bunches and berries are small and savory. Ensure correct summer caring for the grapes by removing the laterals in the period from late June to late August. With regular care of the Bush stepchildren plucking still in the nascent stage. But if the additional escape has already begun active growth, it is cut after the first sheet, with the sole condition that the bushes are planted rarely. Otherwise, avoid of density of grapes the shoots broke down completely. During the final ripening of the berries, when they acquire a distinctive variety of color, there should be a clarification of the grapes. 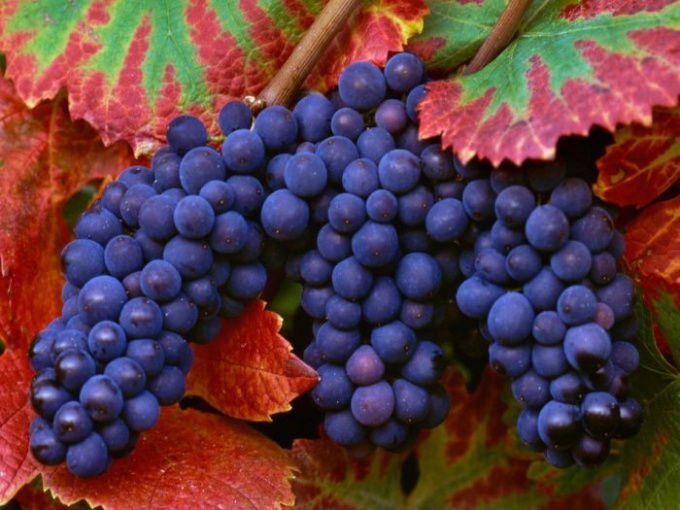 For black grape varieties, this mid-August, pink – late August and late white varieties – beginning of September. To do this, remove all foliage that shades the grapes to the sun's rays to freely enter the berry. Timely care for grapes in the summer will allow you to obtain a positive result in the form of abundant crops, and healthy established hive, ready for winter and fruiting in the following year.